Can I write a blog post on this? 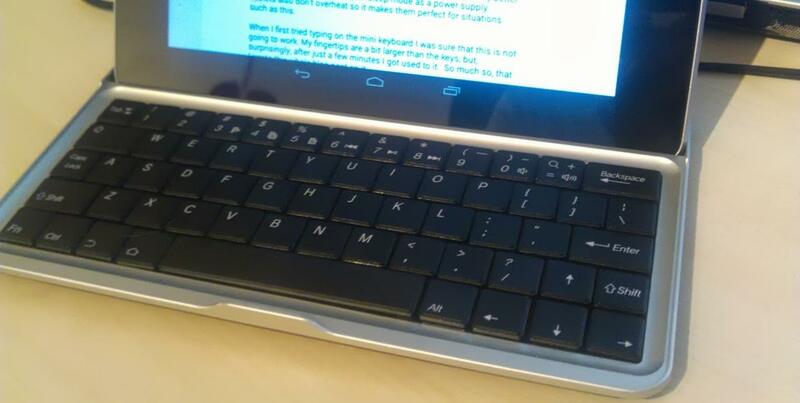 Recently I’ve bought a small bluetooth keyboard for my nexus 7. And when I say small I actually mean tiny. The keyboard is as big as the tablet. Why would I buy a keyboard for ants? I’ve decided to buy it while I was trying to use my 17'' laptop to write in a car during my trip back from Serbia. It was a five hour trip and I wanted desperately to be productive at least a little bit. After an hour of writing I gave up. My laptop battery was dying, the whole thing was overheating, the sun was shining directly on the screen, and my body hurt because it was in a very uncomfortable position. I’ve had the same lousy experience when I was trying to do some programming in a car on a 15 macbook pro last year. This was on a roadtrip from San Francisco to San Diego. 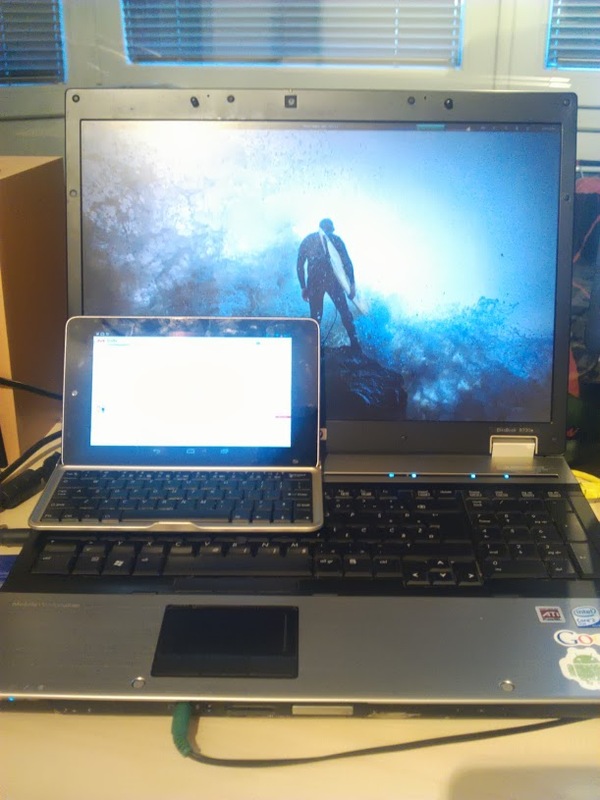 Now 7'' is way smaller than 17 or 15'' and I can detach the screen and put it out of direct sunlight if I wish. The battery life on tablets is way better than on laptops and I can even use my laptop in sleep mode as a power supply. Tablets also don’t overheat and you can have them on a lap indefinitely. But those pesky touch keyboards are almost impossible to use. They take away most of the screen and you can’t really tell where the keys are without looking. Even a small physical keyboard has none of those problems. But having a small keyboard has its drawbacks as well. When I first tried typing on it I was sure, that this is not going to work. My fingertips are a bit bigger than the keys, which makes it really easy to accidentally press multiple keys. Surprisingly, after just a few minutes I got used to it. So much so, that I wrote this whole blog post on it. Yes my wpm was lower than it would be, but it still wasn’t that bad. Now all I need is one of those Google self-driving-cars and the trip to our local surf spot (which is a 3 hour drive to another country) will actually be a productive endeavor!